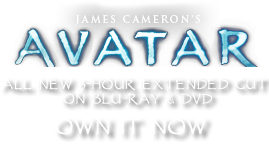 Flaska reclinata | Pandorapedia: The Official Guide to Pandora | Own AVATAR on Blu-ray & DVD Now! The Baja tickler is one of the most important plants on Pandora. It is also one of the most dangerous. It plays an important role on the moon by helping to detoxify the atmosphere. Toxic gases (mostly volcanic in origin) are absorbed into the plant body where they dissolve into a pool of watery liquid that accumulates inside. This primeval “soup” periodically builds up pressure and temperature and is squirted explosively in a toxic plume from the top of the plant. The Na’vi recognize both the value and potential danger of the plant and mainly avoid it. Botanical Description Large plant with inclined, flask-shaped body held up by aboveground prop roots. Cluster of stiff spiny leaves protect a small opening at the top. Atmospheric toxins are absorbed by the plant and dissolve into liquid that accumulates inside. Ecology The Baja tickler is a new plant growth form described as resembling a hollow tree. It performs an important function by absorbing, condensing, and purifying atmospheric toxins.